To present their new medical equipment, Philips Healthcare organized an international interactive talk show and invited several prominent medical experts from across the world. As a thought leader in the medical and technological field Philips Healthcare went all out for this project. They asked We Are Live to develop and produce a high-end live format which emphasized the image and brand value of Philips Healthcare and her products. The event was held in Philip’s own city, Eindhoven, in the iconic Evoluon. There, the main hall was transformed into a television studio. We Are Live created the live format in collaboration with the Paris-based creative bureau Hungry and Foolish. A medical journalist from the BBC was flown in to interview five doctors about the challenges that radiologists face today. These doctors came from the US, the Netherlands, India, Germany and Switzerland. 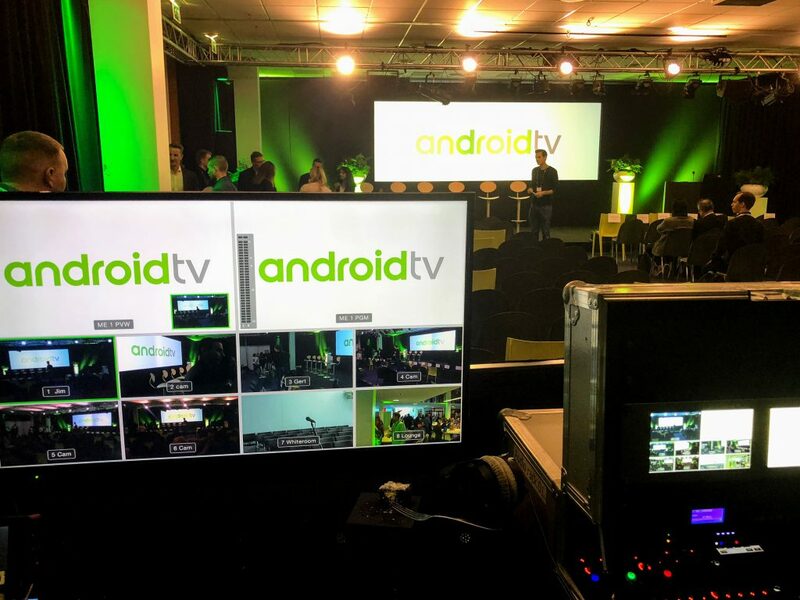 The talk show was broadcasted live so that interested parties from all over the world could watch and, through the website, offer comments and ask questions. An editorial team monitored the website, and sent those questions they felt to be pertinent to the journalist via an earpiece. She could then ask the doctors these questions in real time. This technology also made it possible to begin each topic with live polls where viewers could share their opinions. By choosing for a live and interactive concept Philips was able to communicate directly with prominent doctors and officials and discuss the challenges that exist in the field today. In this way, they could directly explain the functionality of their new equipment. This allowed them to generate new leads and revitalize existing ones with their sales team. Understandably, with a live show like this it is important everything works perfectly. To that end, We Are Live brought in a crew of 34 people and spent two days building and rehearsing for the show. When the show was broadcasted, hundreds of medical professionals from across the world tuned in. 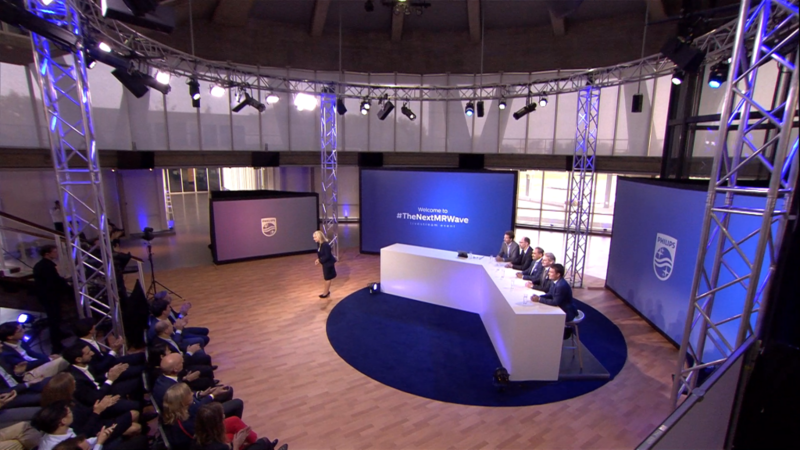 An interactive talk show by a multinational, broadcasted live from Eindhoven. We are immensely proud to have been a part of it.